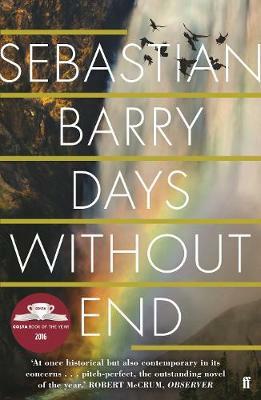 For an uprecedented second time, Sebastian Barry has won victory of the Costa Book of the Year. Days Without End is that extraordinary second volume. Considered one of Ireland’s finest literary voices, Sebastian Barry has garnered praise as a playwright, poet and novelist having won a host of major prizes and has been twice shortlisted for the Man Booker Prize for his novels A Long Long Way and The Secret Scripture which also won the Costa Book of the Year Award. Days Without End was one our reading group reads. I'm an avid reader of anything regarding the First World War so I was excited to read this.